Another Friday is almost over, and as always, we have a lot of things to talk about. 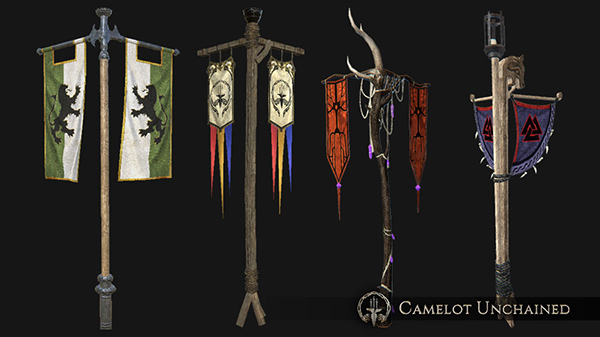 Let’s start with today’s class trio reveal, which was one of the support class trios in Camelot Unchained. These classes are a mixture of speed class, other buffs and debuffs, with some melee combat thrown in as well. We have the Arthurian Minstrels, the Tuatha Dé Danann’s Dark Fool, and the Viking’s Skald. All three of these class are (as we do whenever possible) drawn from the history and legends of the three Realms. And as always, these classes are non-mirrored, and are part of our rock, paper, and scissor approach to our game’s design. Based on what we’ve seen so far, you folks liked what you saw on the Twitch stream! 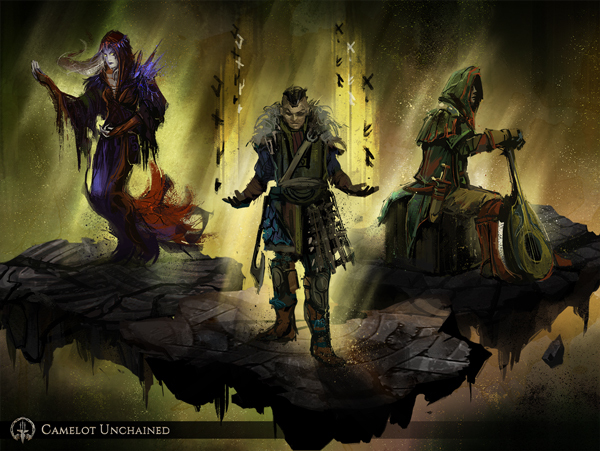 For more information about these classes, just head over to their reveal page here (http://camelotunchained.com/v2/class-reveal-support/). Below is a quick look at them! In other news, our shop of swag has finally opened. In order to pull this off, and to minimize the amount of time we have to spend operating a storefront, we partnered with the good folks at Merchline (www.merchline.com) to print, pick, pack, and ship our goods. As is usual with us, we are starting sensibly with only a few items. However, when you see the quality of the goods, and the lengths that Merchline and City State Entertainment are going in order to ensure the best customer experience for our Backers, not to mention the additional “thank-yous” for them, I hope you will be quite pleased. 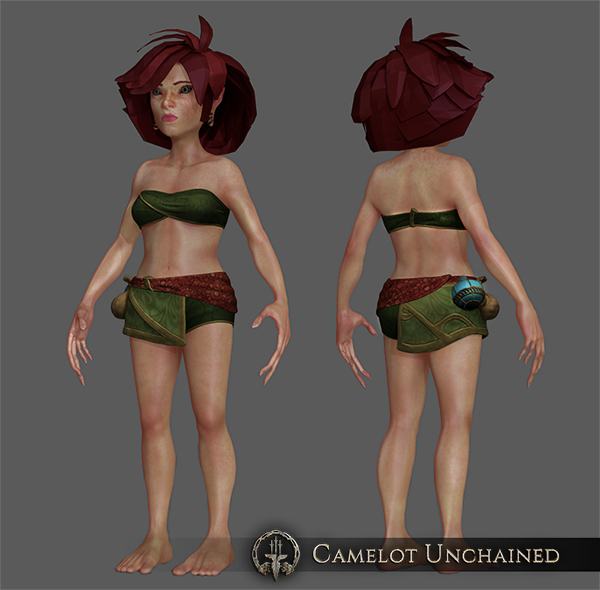 We have an extensive FAQ that talks about way more things than I can cover in this update, and it can be found here (https://store.camelotunchained.com/merchline-faq.php). The tl;dr version is that every dollar in profits that we see from this venture will be put into development of this game, and nothing else. So, every t-shirt you buy directly helps us meet our Stretch Goals. Additionally, since our current and next few Stretch Goals will be centered on hiring additional folks to speed up development, it’s safe to say that this store is in keeping with both our Foundational Principles and everything else we’ve said to date. Our store can be found here (http://camelotunchained.merchline.com/). And, as per above, this is just the beginning. In other news, things are progressing nicely on the game. We’ve been making solid progress on lots of technical issues, as well new stuff, so we are very happy with that. Major improvements incoming in terms of building rendering speed, autoscaling of servers, and so much more. Much more on this in our next User Story update, next week! For today’s art, we have four different pieces to show. 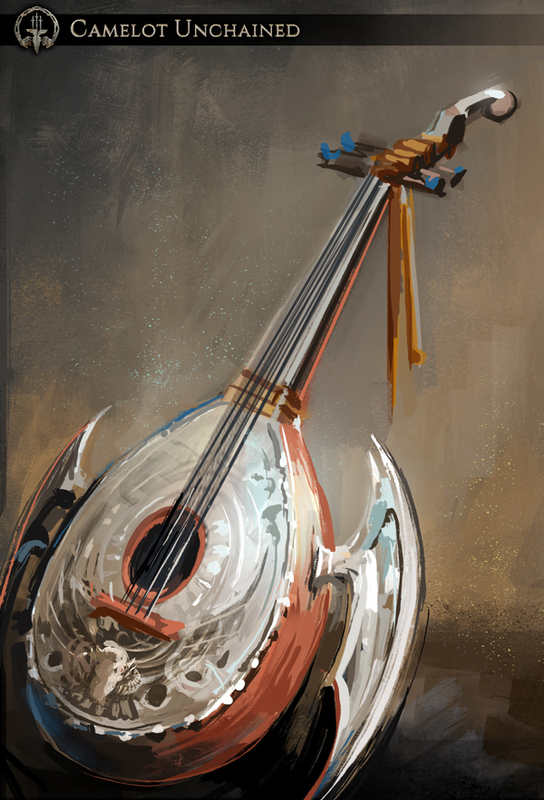 The first is an updated piece of concept art for our Minstrel’s lute, drawn by Michelle. Next up is a piece of art from one of our remote artists that shows some plot markers for the game. For our third piece, Jon has been playing around with some male heads which are separated from their bodies (good thing these are just models, we’d hate to lose the guy due to a prison sentence), and here’s a look at a Male Viking. For our final piece of art, here’s a look at our updated Female Luchorpán! So, lots of good-looking pieces of art to end the week, as usual! That about wraps it up for today. It’s been a long and productive week at the studio, and we are looking forward to another good week starting on Monday! Oh, and BTW, I’ve been working on a new concept, and a new Becoming (the first I’ve written in a while) for a human race for the Arthurians. I hope you like it and, since it is not polished yet, that you aren’t too picky about such things. …As I was finishing up this update, Lady J texted me with the news of the terrorist attacks in Paris. 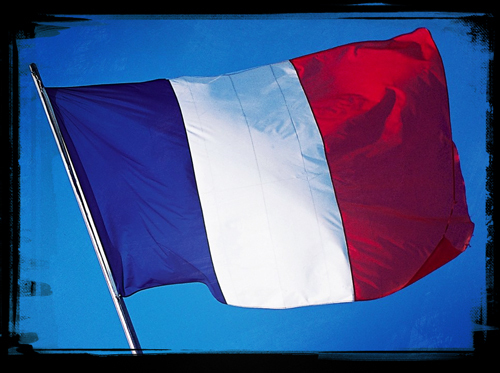 Our hearts go out to all the people of France, as well as everybody else who was/is in the area. To our Backers, I say with all sincerity, I hope and pray that all of you and your loved ones, as well as all those affected by this tragedy, are and remain safe through what will be a terribly dark night for the city of Paris, France, and all those people in the world who abhor the death of innocents, no matter where they reside. 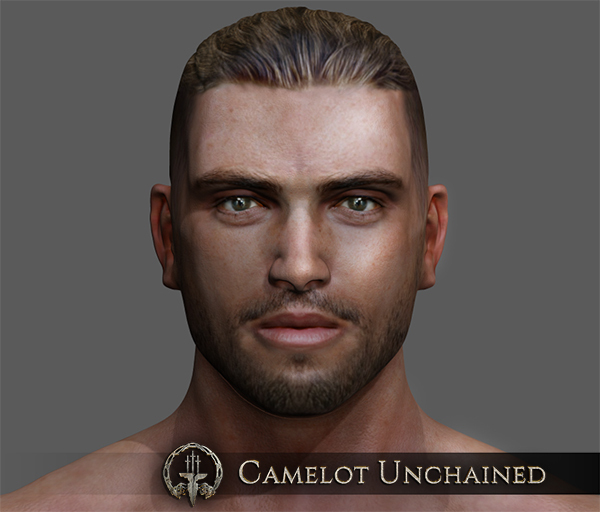 Tagged 13th, 2015, Camelot, Evening, Friday, November, Unchained, Update.